J-Novel Club Forums | New iOS App Version now available for beta testing! New iOS App Version now available for beta testing! If you click this link you can be in on the test! Also when I swipe to go to the next page I have drag my finger from one end of the phone all the way to the other end. I can’t just casually swipe I have t hold it all the way. Hmm. I like using the web browser for JNC either on safari(IPad)or Firefox(PC). I tried the ios app but it feels so weird and feel a bit lost at times, so for now I think I’ll stick to safari. Also seeing the issue with the notch covering stuff, but also the homebar is covering stuff. The notch detection does work on the latest parts lists, though. If you had the previous version of the app set to simple mode and then you install the beta, it will be permanently locked into simple mode (it ignores attempts to change it to horizontal). Reinstalling from scratch fixes it (and resets options). Night mode is still not black (not ideal on OLEDs). Swiping to turn pages is pretty broken, most of the time when you try to swipe to turn pages it will instantly snap back to the same page you're on (because you didn't swipe far enough). Sam said it requires 50% of the page width. The Kindle app seems more like 10%, so its a pretty severe difference. It also will let you scroll vertically a bunch even in horizontal mode, though it snaps back. In the manga reader, the image doesn't take up the full screen, there are gray bars on the left/right (a bit on the top/bottom but not all the time). Vertical scrolling isn't locked so when you swipe left and right, the whole page also bounces up and down. Sometimes it decides it's a vertical swipe and doesn't turn the page at all. The "TO MANGA" button on the parts list is incredibly small and easy to miss. The login screen doesn't fully support password managers: they work on the password field, but not the username field. This is the same as the non-beta version though. One time, a part took a very long time to load, and I couldn't open the option window to exit out, so it made it seem like the app had locked up. "To manga" button is too small. Reader has extra borders on sides and image isn't rendered at full resolution. Even if it was, the autoselected resolution is pretty small (i.e. it's what I consider to barely ok, anything lower is not ok at all) and I think you should add manual selection for higher quality. Panning when zoomed in is too fast, you need to divide by scale (or by like a square root of, if you want it to be somewhat fast). LN reader goes to 0 when phone orientation is changed. The way images are sliced in the horizontal mode looks more like a bug than a feature. Pinch zoom kinda breaks everything in horizontal mode. Better disable it. In manga reader, meanwhile, zoom is broken in vertical mode. Vertical Scrolling doesn't have enough of inertia. Like @rahul-balaggan said, flipping the page requires too much panning. I think 15% of page is a better threshold for that (I know doing velocity things may be harder). Also, half-flipped page looks continious because no margins. Largest font is pretty small, especially if it's crimson text. It doesn't even match the size in preview. Changing settings and then hiding the bar won't apply it but will not cancel selection so it gets confusing. I used to think of animations to be nice-looking while mostly useless functionally but this is a good example of how wrong that opinion is. Lack of animation makes hard to tell wtf happened here. iPhone XR user here. What @Guspaz said applies to me as well. Regarding the notch, can we keep the status bar visible? We don't get much from hiding it. Interestingly, this actually works for me - most of the time. I get autofill for both user and password fields in both old and new versions. I sometimes need to kill the app to make it work though. Swiping in the top 25% of the screen should be considered a page turn rather than bringing up settings like a tap. The manga reader doesn't remember progress. Nah. You want users to see new series on top and check them out. It's the same on site. Also it keeps order mostly same while adding new titles alphabetically kinda messes with that. If you know the name of what you want (you don't really benefit from alphabetical if you don't) you can use the search. I'm not saying no one's gonna like alphabetical, it just isn't as clearly superior as you may think it is. After a quick (and I mean it), I do find two issues and one suggestion I would like to make. As many of you have mentioned, the "To Manga" Button is too small. Personal suggestion would be to have it at the bottom with the rest of the big options. Swiping to change pages seems finicky. You need to do a full swipe from one end of the screen to another to make it work correctly. As for my suggestion, it would be to add a "swipe page" animation, while increasing the time it takes for the next page to appear, if only slightly. Just wanted everyone to notice that clicking on the “To manga” button on the Latest tab brings up newest releases, and clicking on the button while in the Series tab brings up a different page with all the manga series. So adding 2 more buttons at the bottom would make them too small, in my opinion. I propose the drop down arrow next to “Latest Releases” and “Our Series” be converted from its present newest —> oldest function (I never use it anyways, I’d think that would be similar in most other people too) to a novel/manga selector. Nah. You want users to see new series on top and check them out. It's the same on site. Honestly, it's even less of a problem here than it is on the site; scrolling through the entire list of series on the mobile app is fast and easy, instead of the interminable paging through a few series at a time on the web. Add my vote here as well! Agreed here as well, and it's just as bad on a 6s. And related, there's no margin - the text goes right up to the edge of the screen, which makes it harder for your eye to find the start and end of the line. (I used to do publishing layout, and still do interface design as a programmer.) A 3-to-6 pt. margin would improve readability. It'd only be too big of "Member" stays there, but really, there is no reason for "Member" (which you never click unless you've been logged out) to be tehre when there is a a big empty space in the corner for it. Here is a mockup that I think works better, and requiers less clicks too. Finally got in to test it. Seems to me the pages jump a bit to much as I try to read through? Seems the font settings are incorrect. The font is bigger than what is shown in the example. Tap to go back a page also doesn't work, which doesn't help with the amount of the screen you need to swipe on iPad. It appears the percentage of the book is no longer a page ahead of what it is, but has gone back to counting the number of pages instead of the actual percentage again. In the midst of all these suggestions to make the app better I'd like to put in my sincerest gratitude for adding landscape mode for reading as this makes the app significantly more usable for me, and as such I will probably be using this app much more likely compared to how much I used it before. THANK YOU! 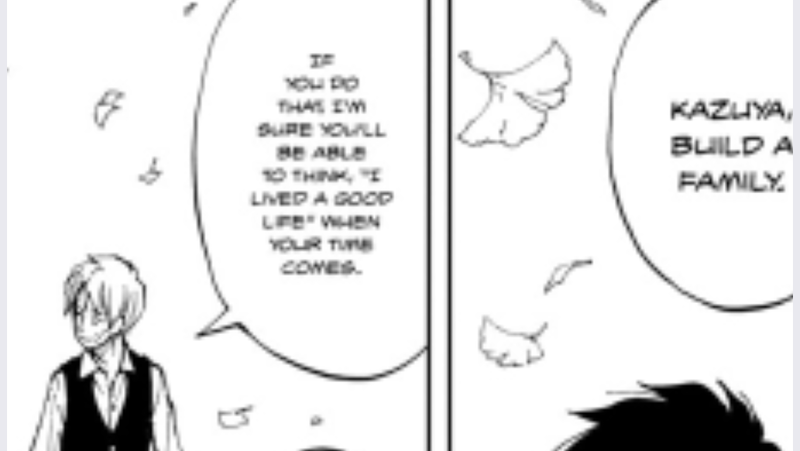 It seems that when you change from landscape to portrait or vise versa the location always goes back to the very beginning of the part, I have not encountered this issue with the manga reader. It would be very convenient if it was able to save the last or first line of what is currently on screen and have it go to that location. Also if possible I would love the ability to lock the orientation of the book or manga and if there was an easy way to check the time without having to bring down the notification center. Whether that be with a clock somewhere on the reader itself or even if you could fit a clock in the settings area for the reader would be great. Seems images are not resizing correctly for the display. Some of the images in Isekai Maou V7P1 get split onto 3 pages on my iPad. Just checked the latest version 2.1.3 on my iPad 6th gen for light novels. Images now have a page break, but still do not scale properly breaking them over multiple pages. I believe this is due to the image size being bound to the width of the screen instead of both width and height. Tap to turn doesn't work on areas of the screen where no text is present. The to manga button has been resized. Ideally I would like to see a toggle between novels and manga in the header, this would allow the latest and series buttons on the footer to be used with both. This isn't necessary at the moment but would be a benefit when more manga chapters and titles become available. The manga reader is not retaining chapter progress. This will make it unclear whether the chapter has been read or not.